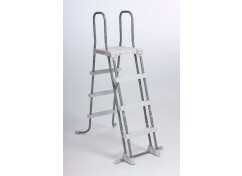 This ladder is designed for 36 in to 42 in pool walls. 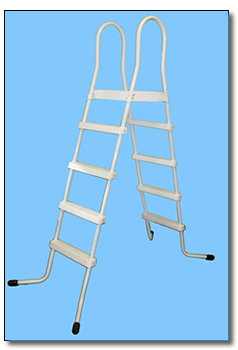 When the pool is not in use, removable steps make it easy to deny access into the pool, without having to remove the ladder. 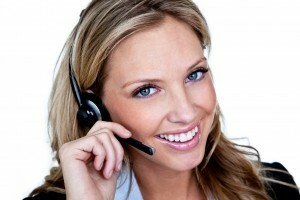 Replacing them is also quick and easy - simply set the steps into the base, then snap and lock them all in place. 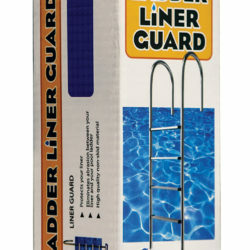 A good ladder for smaller above ground non metal and steel wall pools.